Did you know that eating more fruit and vegetables can help lower blood pressure and may lower your risk of certain types of cancer (such as colon, breast, lung and prostate cancer). Eating less saturated fat may also lower your risk of heart disease. Are you aware that nutrients help build and strengthen bones, muscles, and tendons and also regulate body processes, such as blood pressure. These nutrients also give you energy and keep your heart beating, your brain active, and your muscles working. 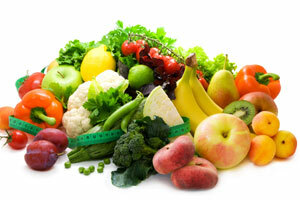 The best way to get these nutrients is to eat a healthy and balanced diet.